The first and most important step in starting your international business is to properly construct your future company structure, that meets your needs and the legal requirements of local jurisdiction as well. It is important to take into consideration all the pros and cons of your proposed business vehicle and compare them to your business goals. Before making a choice, it is necessary to answer the following key questions. What capital is required to set up your business? Do you need any third-party investors? Can your business potentially attract such third-party investors? What are the start-up procedures, costs, time frame and other requirements? What are the tax implications in choosing a particular business vehicle? Lawyers of Law&Trust International provide services of company formation in more than 140 countries across the globe, including Hong Kong in particular. By understanding your goals and anticipating your needs. Our professionals, who possess expert knowledge of local business, guarantee efficiency and professionalism at all stages of the Hong Kong company set up. Law&Trust International also provides full range of legal, corporate, government, and business intelligence related services. Hong Kong is an autonomous territory located on the southern coast of China. Its proper name is Hong Kong Special Administrative Region of the People’s Republic of China. Hong Kong is a major financial and commercial centre, where business registration is possible for non-residents from any country. Hong Kong is not an offshore jurisdiction and formation of an offshore company in Hong Kong is technically impossible . However, it is possible to set up a non-taxable company in Hong Kong, which will have some characteristics of an offshore counterpart. 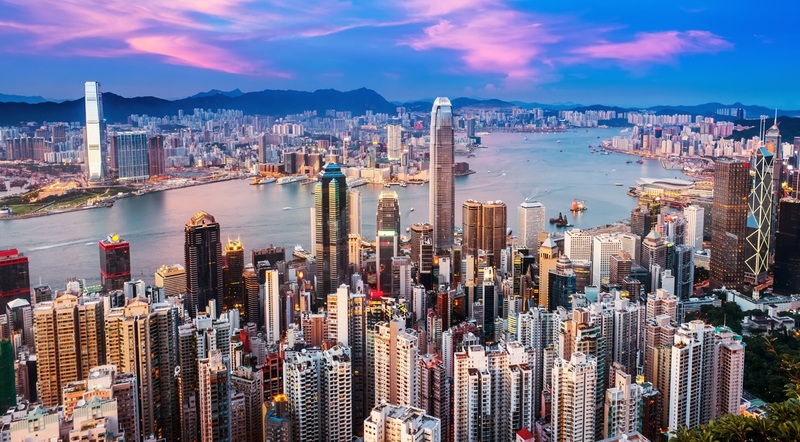 Almost any local Hong Kong company can opt for a preferential tax regime that minimizes losses from taxation and because of that Hong Kong company may be similar to a traditional offshore company, e.g. the one that is set up in Seychelles. Although, such similarity does not mean equality. A Hong Kong company must submit an audit once a year, regardless of its tax status. Taxation of Hong Kong companies is unique in that it is based on the source of profit. As long as a Hong Kong company does not conduct any business in Hong Kong, and does not generate any income that is related to Hong Kong, such a company may apply for a Tax Exemption and will be taxable in Hong Kong at the rate of 0%. Because of this, a company registered in Hong Kong does not have the reputation of an offshore, so potential worldwide partners will more likely establish business relationships with such a company. Registration of a non-taxable company in Hong Kong, as it has been mentioned above, is possible only if the local tax authority grants a Tax Exemption to such a company. In order to obtain said Tax Exemption offshore companies in Hong Kong must keep complete accounting records and be audited annually. Furthermore, a company that had received the Tax Exemption, shall not conclude transactions with local companies and provide services or sell goods in Hong Kong. However, if conditions mentioned above are not fulfilled, the company will be obliged to pay taxes in full at the rate of 16,5%. Take note that for all Hong Kong companies, preparation of audited accounts is required . However, the accounts are not publicly accessible and can only be obtained by third parties either following shareholders’ decision or a court ruling. It is also important to know that a company with 100% foreign capital is not restricted from enjoying such instruments as loans, dividends, royalties, etc. Furthermore, there is no foreign currency control and non-residents are eligible for a unique procedure of credits or loans obtaining after establishing a company in Hong Kong. The process of formation takes up to a month, but it is possible to accelerate the procedure if needed. How to register a company in Hong Kong? Registering a company in Hong Kong is done by filing an application to the Hong Kong Company Registry. Law and Trust International provide clearly defined details on how to register your company in Hong Kong. What are the company incorporation requirements in Hong Kong? How long does it take to register a company in Hong Kong? Registering a company in Hong Kong could take as long as a week. How much does it cost to register a company in Hong Kong? The cost of registering a company for the first year is $2290 while from the second year, it costs $2190. If you are interested in setting up a Hong Kong company, lawyers of Law and Trust International can help. Write us an email or simply call now to take the next step in your business! Terms of purchasing ready-made company ? The information required to be kept at the registered office A register of directors and secretaries; register of shareholders; Book reports of general meetings, meetings of directors or managers; register of debenture holders; copies of documents about the origin of collateral or mortgage obligations, subject to registration; register pledges, etc. Corporate tax rates details As from year of assessment 2018/19, profits tax levied at 8.25% rate (7.5% for unincorporated businesses) on the first HKD 2 million of assessable profits and at 16.5% rate (15% for unincorporated businesses) on remainder for companies carrying on business in Hong Kong on relevant income earned in or derived from Hong Kong. Other taxes Capital tax, real estate tax, social security contributions. В Гонконге, в целях оптимальной защиты "Знака и Логотипа" требуется подать 2 отдельные заявки, поэтому цена вдвое превышает стоимость заявления отдельно на логотип или отдельно на ТМ. Кроме того, если вы запрашиваете всеобъемлющую проверку китайских иероглифов, она будет стоить 125 долларов США за класс.